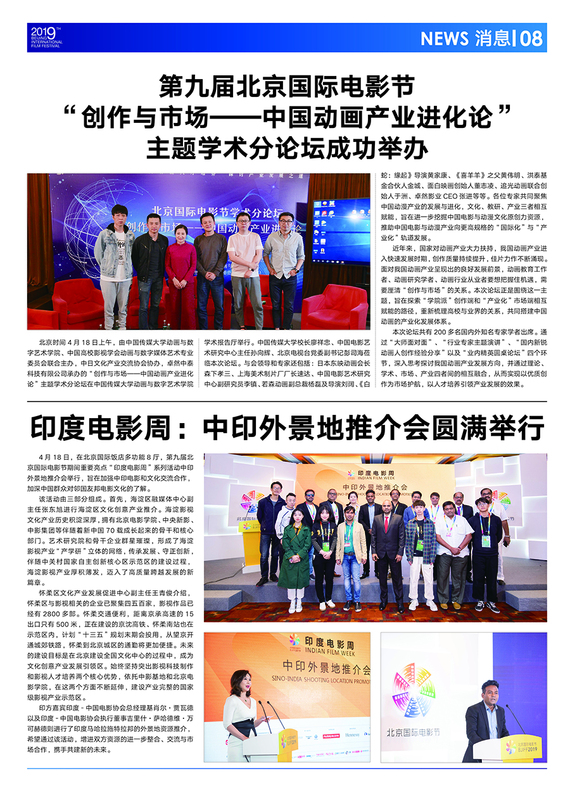 On April 16th, the day when the 9th Beijing International Film Festival (BJIFF) kicked off, filmmakers gathered at Beijing International Hotel. 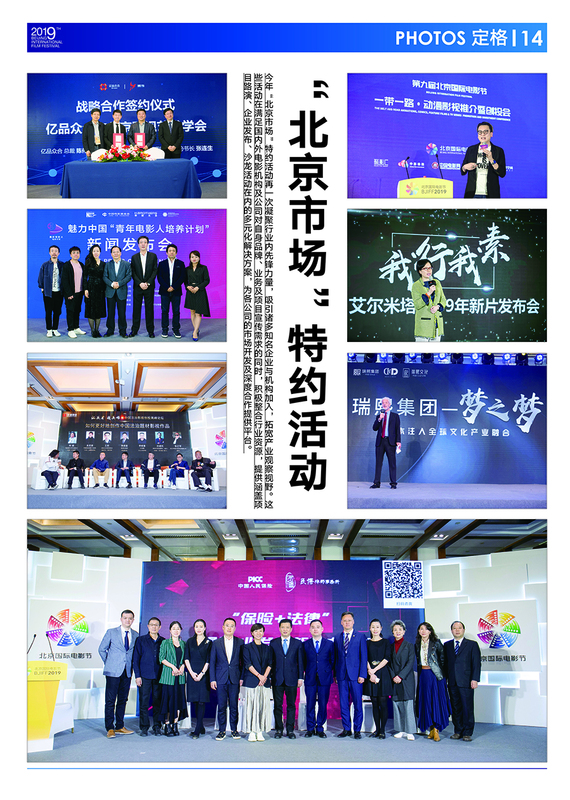 A number of impressive activities were successfully rolled out, where there were a comprehensive range of industry exchanges and project cooperation. Film is a blend of art and technology. It can go nowhere without technological advance. 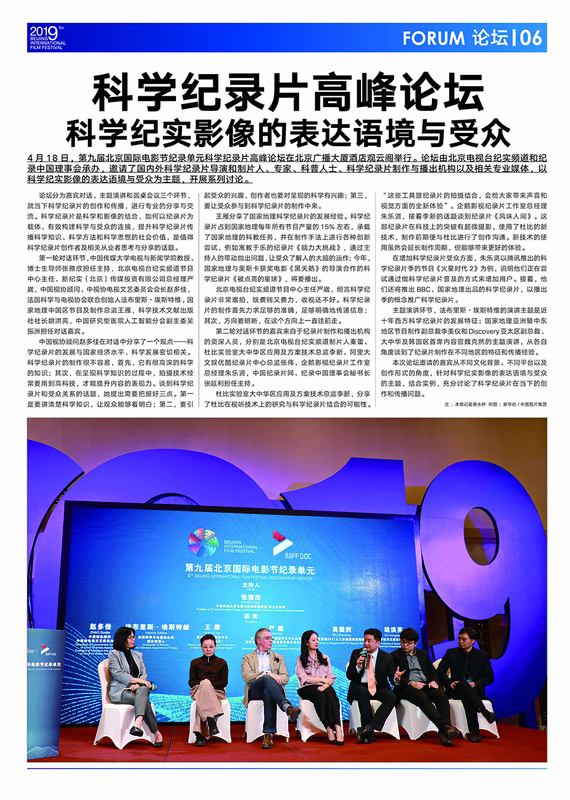 As a response to the hi-tech growth in the film industry, the 9th BJIFF International Digital Cinema Technology Forum took place in Beijing last afternoon. 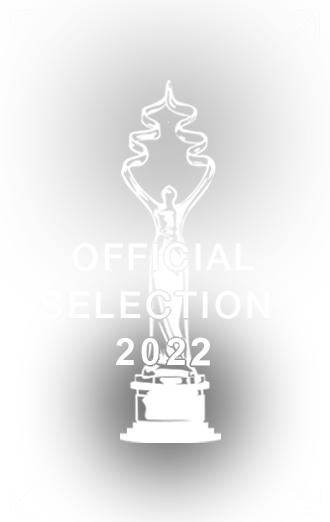 This time, the Organizing Committee of the BJIFF is the host, and China Research Institute of Film Science & Technology and Specialized Committee of Film High-Tech, China Society of Motion Picture and Television Engineers (CSMPTE), are the organizer and co-organizer. Luan Guozhi, Chairman of Specialized Committee of Film High-Tech, CSMPTE, presided over the forum; Zhang Wei, Director of China Research Institute of Film Science & Technology and Head of Film Technology Quality Inspection Office of Publicity Department of the CPC Central Committee and Wang Zhi, Deputy Chairman of Beijing Municipal Radio and Television Bureau and Deputy Secretary-General of the Organizing Committee of the BJIFF attended the event and delivered the speeches. After ten years of development at break-neck speed, the market size and market climate of the Chinese cinema is still in the process of expansion and optimization. In 2018, total box office in mainland China exceeded the 60 billion yuan threshold while having sustained stead forward progress, generating more possibilities for both Chinese cinema and worldwide cinema. 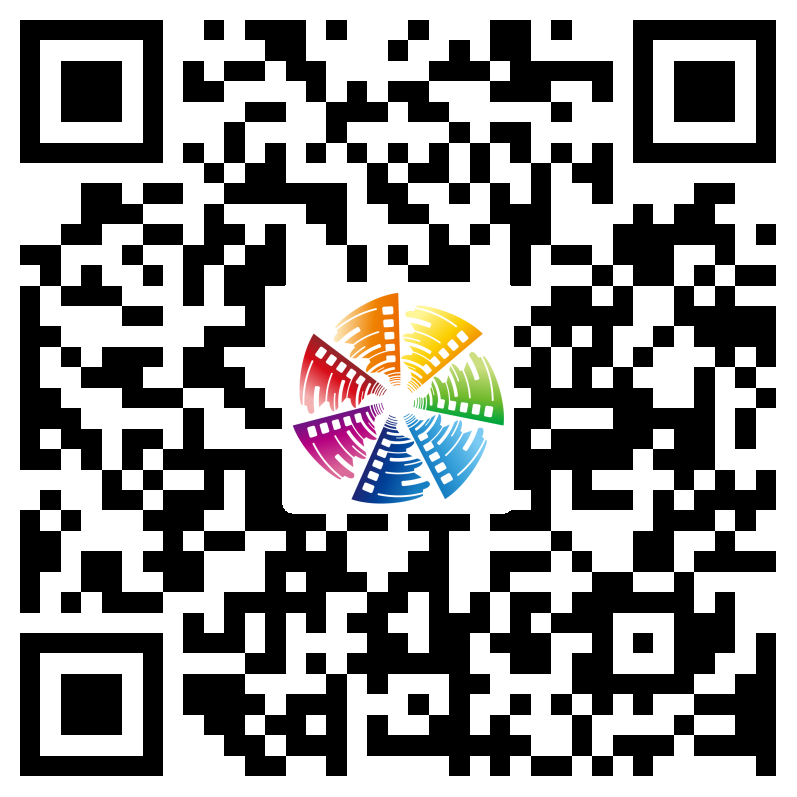 The 9th Beijing International Film Festival revolves around the growth of the global film industry to establish an internationalized and professional movie industry communication and cooperation platform. The Film Festival officially commenced on April 16 and will last for four days, one more day than previous editions, in order to offer more time and space conducive to interaction between participants and guests. 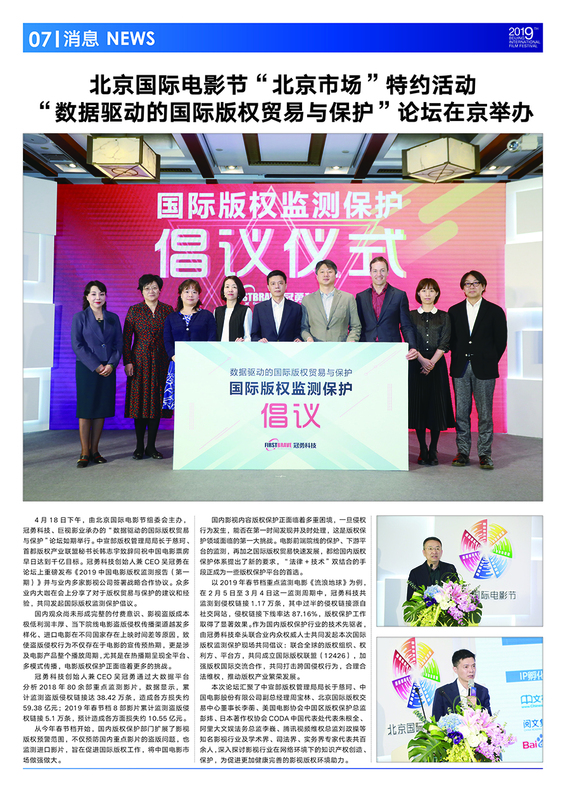 At 10 AM April 15th, 2019, the 9th Beijing International Film Festival (BJIFF) —Salon for Chairmen of International Film Festivals and Representatives of the Film Industry took place at Beijing International Hotel. 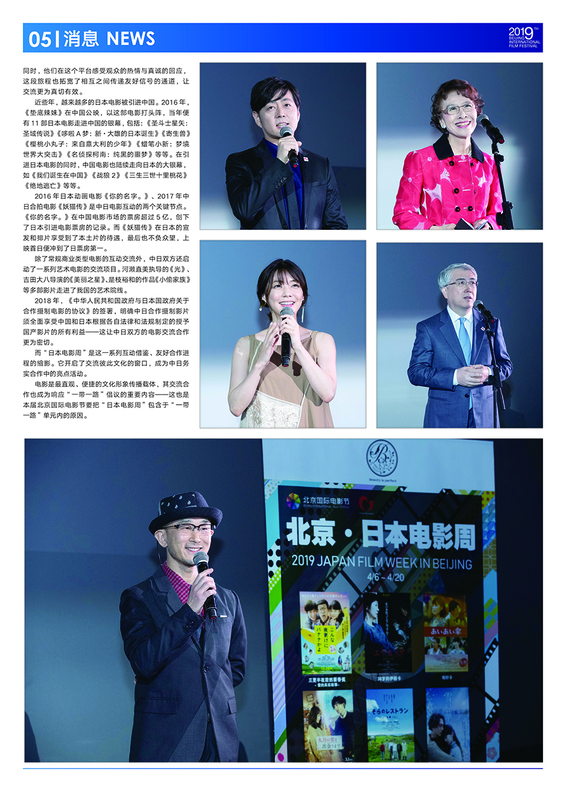 On April 15th, 2019, “Arthouse Film Forum” of the 9th Beijing International Film Festival (BJIFF) was held grandly in Beijing Palace, Beijing Hotel. As one the six major forums of the 9th BJIFF, the forum, themed “Why & How”, invited filmmakers, producers and promoters of art films from both home and abroad. 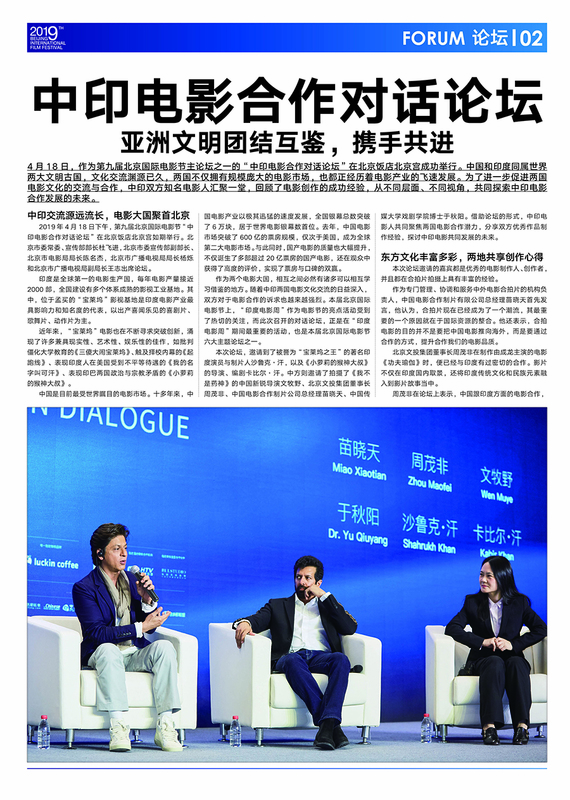 At the forum, they shared their understanding of the connotation of art films and their working experience, exchanged ideas on the current development situation and future development direction of the Chinese art film industry and showed their determination and confidence in art films. As the Chinese film market is becoming more diversified, Chinese art films will definitely have an even brighter future. As an increasingly larger number of countries and regions are supporting and taking part in the “Belt and Road” initiative, the world ushers in the collision and the fusion of various cultures. 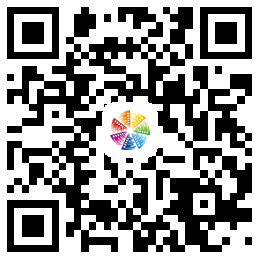 Comprehensive and in-depth cultural communication is always the most powerful premise conducive to the promotion of international trade cooperation. 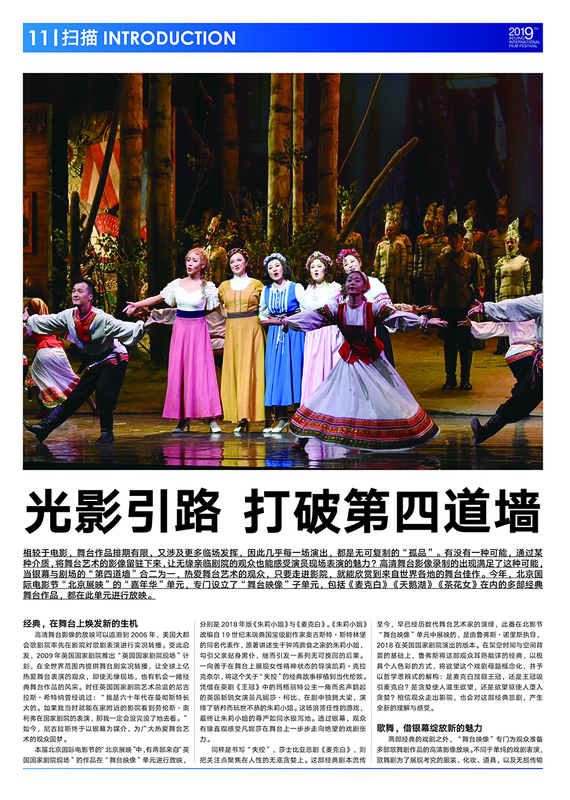 As one of the most diverse, most multidimensional and most vivid manifestation of culture, cinema can effectively strengthen cultural communication and cooperation among countries along the “Belt and Road” and plays a significant role in the whole initiative. 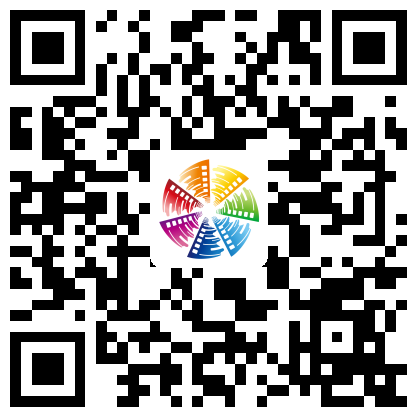 The 9th Beijing International Film Festival continues to shoulder the great responsibility to further drive the development of the “Belt and Road” initiative, to promote communication and cooperation in film culture, and to function as the key conduit linking together the peoples along the Belt and Road. 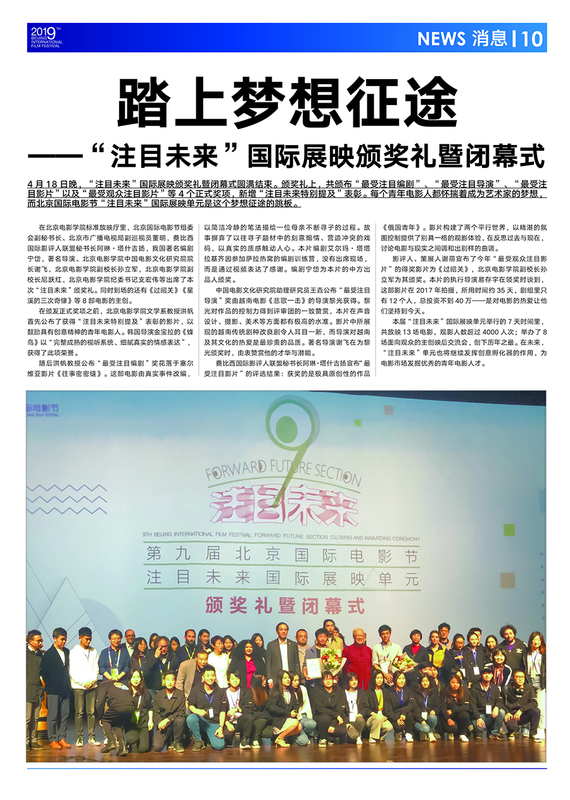 On the afternoon of April 14th, the 9th Beijing International Film Festival (BJIFF)-Chinese Films Forum for the 70th Anniversary year of the People's Republic of China took place at Ballroom, Beijing International Hotel, with the theme "70-year Development of Films, Walk into the New Era". Zhang Hong, Secretary of Party Leadership Group and Vice Chairman of the China Film Association (CFA); and Chen Mingjie, Deputy Director of the Publicity Department of Beijing Municipal Committee of the Communist Party of China and Director of the Beijing Film Administration delivered addresses. Bi Wenyu, Deputy Secretary-General of CFA hosted the forum. Among other leaders and guests present were Wang Jue, Editor-in-Chief of Beijing TV Station, General Manager of Beijing Performance & Arts Group and Executive Deputy Secretary-General of the Organizing Committee of the Beijing International Film Festival; Yin Hong, Vice Chairman of CFA and Professor at Tsinghua University; Rao Shuguang, Director of the Film Art Center of CFLAC; Lu Shaoyang, President of the Film Review Committee, CFA, Professor at Peking University and Dean of the School of Journalism & Communication, Peking University; renowned directors Xie Fei, Lv Yue, Ning Hao and Frant Gwo, film educator Zhang Huijun, as well as film critics Chen Shan, Jia Leilei, Li Zhenlin, Wu Guanping and Nie Wei. 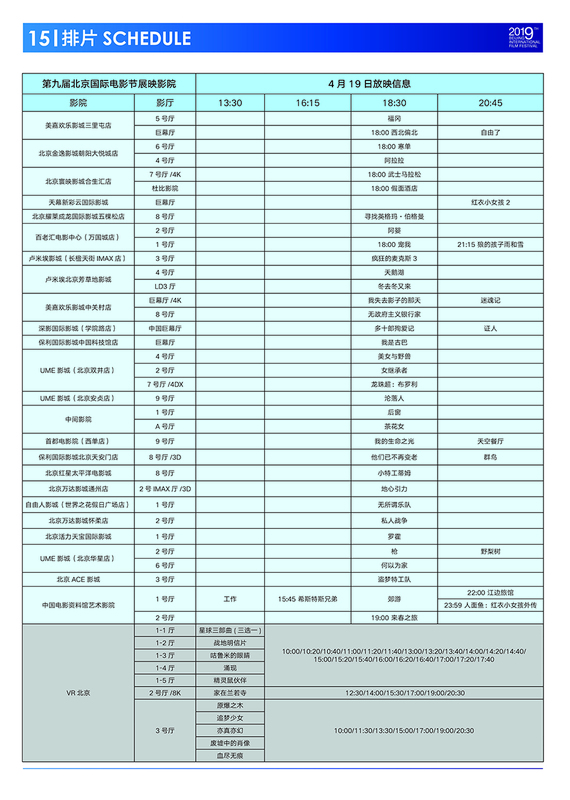 Since its inauguration, the Beijing International Film Festival (BJIFF) has been positioned as a film festival with international standard, Chinese characteristics and Beijing style. To Rob Minkoff, President of the Jury of Tiantan Award, the BJIFF is an international community. The judges from different countries and regions got together, aired opinions and exchanged views on films. Their different perspectives of films have created more possibilities for the 9th BJIFF. 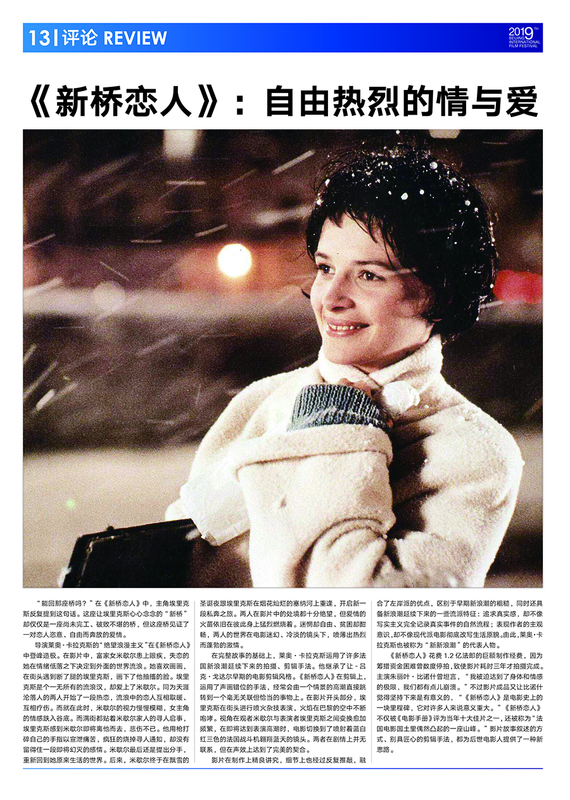 This year, the Beijing International Film Festival (BJIFF) is going into its ninth year. Nine years can’t be counted as a long segment in the 70-year history of new China, but is of increasingly great significance in terms of quantity and quality of the film. Along with tremendous changes in Chinese films industry over the past nine years, the BJIFF has also gone through different stages of development – start from a high-end base, improvement in a great stride, compliance with international standards, and upgrading on all fronts. In the important year to celebrate the 70th anniversary of the founding of the People's Republic of China, the BJIFF operates activities centering on the theme of Home • Land to pass on core values. In addition to reviewing each and every single step to pioneer and keep forging ahead in China’s film industry, it also shows great social changes and ever-changing societal landscape since the founding of the People’s Republic of China.